Although my husband might disagree, it is my firm belief that you can never have too many perennial gardens. So, after a few years of threatening to expand my gardens, I decided to go ahead this year. 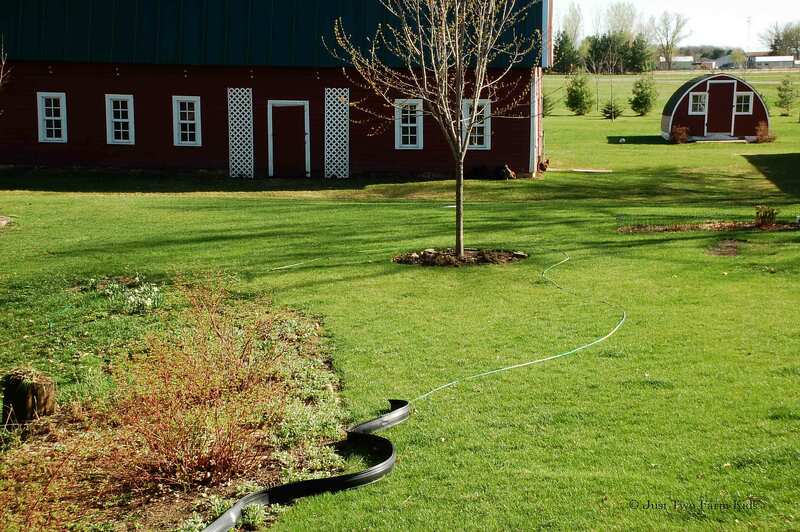 I always start my landscaping projects by laying out a garden hose in various shapes and looking out the windows in the house to see how it will look. I tried many different variations this time to try to find a shape that I found pleasing.